I am a believer of reincarnation. I also believe in auras, senses and the power of the Universe. It probably won’t come as any surprise that I also believe in Indigo Children. I am not that impressed with what I have found on the Web yet, as much of it relates to ‘disorders’ surrounding Indigo Children. They are wise in the sense that you can feel there is something special about them, and you can also get the sense they are older beyond their years. You probably have met children like that. They have sayings that you often hear yourself say to your spouse, ‘Where did they pick that up’? Or ‘They must have heard that somewhere’! I have 2 nephews. One, I believe to be a new soul, and it is so interesting watching him grow up. There is no doubt in my mind the other is an Indigo Child. Some of the characteristics of Indigo Children are extreme independence. Some say they are restless, which I believe is because some other kids bore them, and they like to hang around adults. I don’t like it when I read that Indigo Children are ‘A.D.D’ or emotionally unstable, or disrespectful, or a huge list of derogatory words to describe these special children. It drives me crazy when people feel the need to ‘label’ something they don’t understand. And especially if the label is unflattering. The term indigo was coined by a parapsychologist who developed a system of determining people’s personalities by the color of their auras. 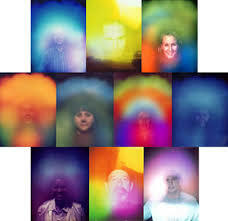 The Indigo aura relates to the third eye and is said to be very intuitive, sensitive and deep feeling. Check it out and cherish that very special child. This entry was posted on July 14, 2009 at 8:46 pm and is filed under Uncategorized. You can follow any responses to this entry through the RSS 2.0 feed. You can leave a response, or trackback from your own site.